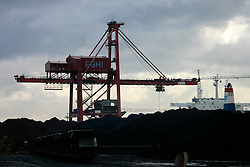 SPAIN ASTURIAS GIJON SEP08 - Coal port of Gijon, northern Spain. 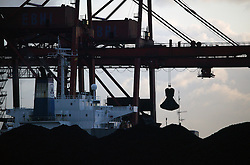 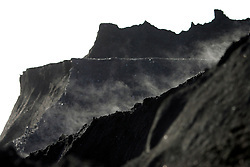 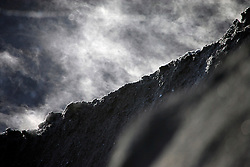 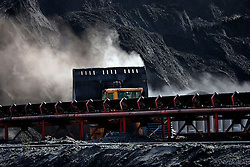 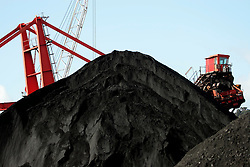 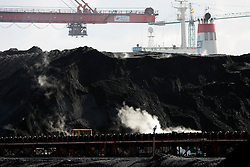 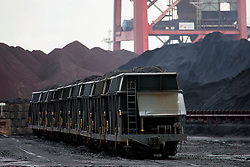 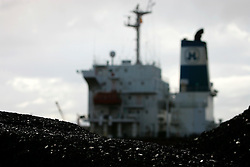 Images show piles of black coal, terminals, loading facilities, cranes and conveyor belts. 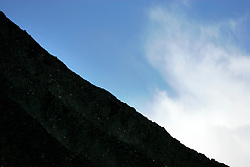 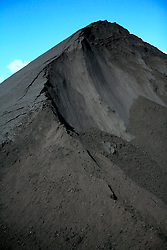 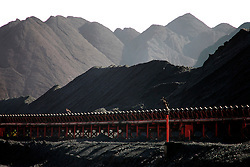 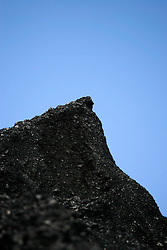 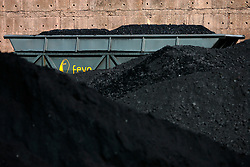 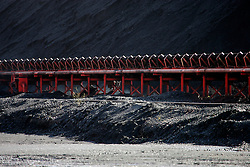 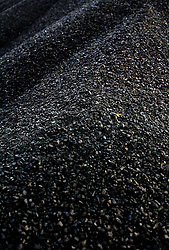 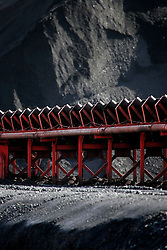 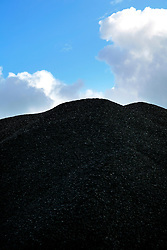 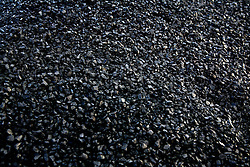 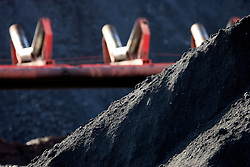 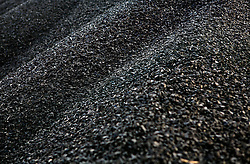 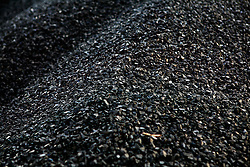 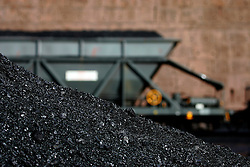 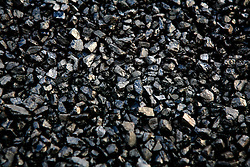 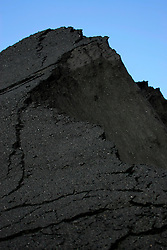 Generic and graphic details of coal.